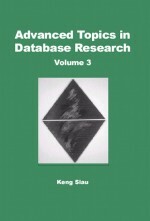 This chapter provides metamodels for some of the main database modeling notations used in industry. Two Entity Relationship (ER) notations (Information Engineering and Barker ER) are examined in detail, as well as Object Role Modeling (ORM) conceptual schema diagrams. The discussion of optionality, cardinality and multiplicity is widened to include Unified Modeling Language (UML) class diagrams. Issues addressed in the metamodel analysis include the normalization impact of non-derived constraints on derived associations, the influence of orthogonality on language transparency, and trade-offs between simplicity and expressibility. To facilitate comparison, the same modeling notation is used to display each metamodel. For this purpose, ORM is used because of its greater expressibility and clarity.